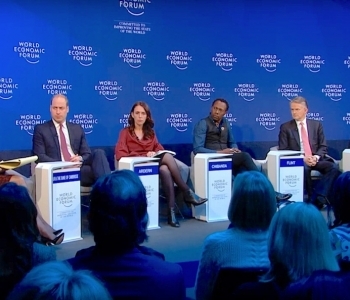 Mental health was a hot topic at the 2019 World Economic Forum’s annual meeting held in the Swiss mountain resort of Davos. 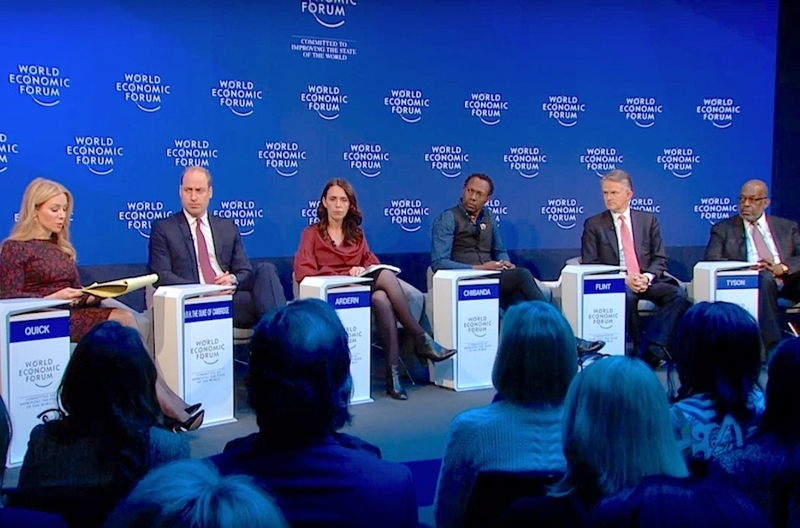 For the first time ever, there was a separate Mental Health Panel featuring very high profile speakers such as the Duke of Cambridge, Prince William, and Jacinda Ardern, the Prime Minister of New Zealand. To be honest, such high level discussion surprised even us here at Wellness Orbit and watching it was time well spent. It enabled to get an insight that even leaders can see the huge and real need for a global change in the arena of mental health. During the panel discussion, a question was put to the audience if they themselves or anyone that they knew were suffering from mental illness or have had mental health issues. Nearly everyone in the room raised their hands. This was no real surprise to us. We wrote to you in our January newsletter, that almost 90% of people have come into contact with mental health problems. The actual surprise was that the topic of mental health is finally being treated with equal importance as global warming and economic topics at the highest level. This is a great start to the year, however we need to see mental health gain even more attention. The World Economic Forum estimated that it would cost the global economy up to $16 trillion by 2030 in lost productivity and healthcare costs. It is a huge problem as countries currently spend an average of up to 2% of their health care budgets on mental health care. This means that employers and businesses have totally unrealistic hopes when they expect that the ongoing current global mental health epidemic to be solved by reactive measures (such as cure and therapy sessions) alone. The problem is just growing too fast for that. We can look at this from a different angle – according to the World Health Organization (WHO), the annual cost of depression and anxiety in the workplaces alone costs about $1 trillion in lost productivity per year globally. By contrast, the WHO emphasizes that workplaces that proactively promote mental health and support people with mental disorders have lower rates of absenteeism, increased productivity, and benefit from other economic gains. In Davos Jacinda Ardern stated that addressing mental health issues is a moral and economic imperative – one that affects productivity. Increased productivity is something that employers stand to gain if employees have better mental wellness. And of course when there is lack of mental wellness, workplaces are first in line to lose out from mental health problems and mental illnesses both in the form of sick leaves and also loss of talented employees. So is quite understandable that the Prime Minister of New Zealand also chose to mention the importance of prevention during the panel discussion. Let’s now look how a preventative approach can be beneficial for you as an employer. In 2017, Deloitte UK completed a study that revealed organization-wide proactive approach towards mental wellness can achieve much higher ROI than reactive mental health interventions do. That sounds like a good business case. Doesn’t it? So the obvious question is, where can I find such a preventative solution? There truly aren’t many viable and practical options out there. Even we ourselves are positively surprised that Wellness Orbit is so far the only fully digital preventative mental wellness solution on the global market. While it is amazing that mental health recently received such high level attention, it has been for us a very long journey in bringing forward our fully digital proactive e-trainings for teams. We are so proud of our Founder Dr Helena Lass for doing so. She began a systematic approach to prevention 10 years ago and summarized her work in a scientific paper published last year. We have been on this journey to find a proactive/preventative mental health solution so much longer than others. We see that talk isn’t enough. We see that all workplaces need to take action. That is why we built this fully digital mental wellness gym as a new and innovative solution from the ground up. We consider your employee experience to be most important during our trainings. This is why we made our trainings soothing, so that participants feel relaxed when Dr. Lass is explaining complicated health topics in a very simple manner. It means that all your trainings here in Wellness Orbit are easy to follow and leave your teammates with improved productivity and better mental fitness for handling the daily pressures we all face.